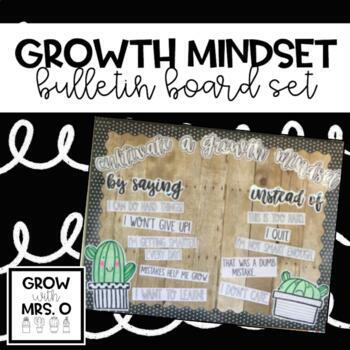 This product contains all of the text (black and white) for a growth mindset bulletin board. I cut out and laminated the text for my board. I also made it a cactus theme by drawing cactus cutouts (not included in product).